Reconnaissance vehicle developed by the Daimler-Benz company. Existed only in blueprints. 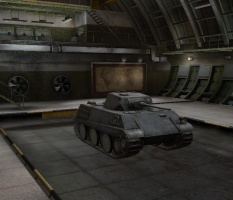 Originally, the VK28.01 offered a unique gameplay experience thansk to its ability to mount a howitzer, which turned it into a miniature version of the T49. However, with patch 9.18 this option has been removed form the game. 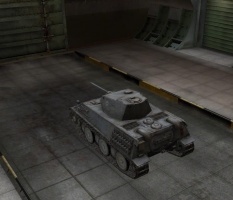 What is left is an adequate, but unremarkable light tank with good view range and decent frontal armour. The VK 28.01 project started in June of 1943 by Gen. Guderian. 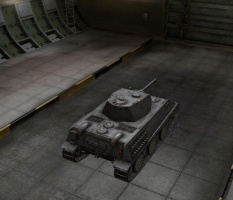 He wanted a multipurpose tank(mehrweckpanzer) to replace the Panzer IV. 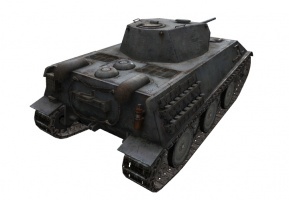 The VK 28.01 was to be the basis of light tank destroyers, flak panzers, recon vehicles, and other panzer variants. In particular, Krupp proposed the Mehrzweckpanzer mit Vierling 2cm VK 2801 anti-aircraft tank armed with quad 20mm Flak guns. 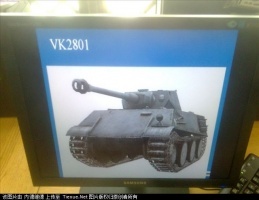 The VK 28.01 was to weigh approximately 28 tons (hence the VK 28.01). The top speed of the VK 28.01 was to be slightly over the maintainable speed of ~30 km/h. The planned ~550 hp Argus engine would power the VK 28.01 and give it nearly a 20 hp/t ratio(very good p/w ratio). 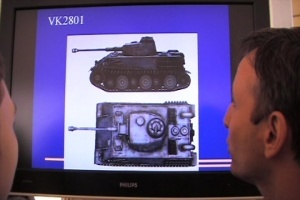 Krupp envisioned the VK 28.01 with a modified Pz IV turret. 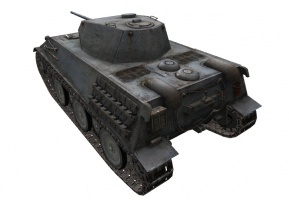 The Hull armor of the VK 28.01 was to be 50/30/30. The 50 mm upper front plate was sloped at 55 degrees while the lower plate of the same thickness was sloped at 45 degrees. 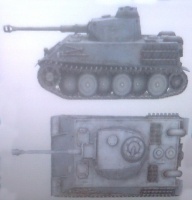 The turret armor was to be 50/30/30 protection and was nearly identical to the panzer IV turret. 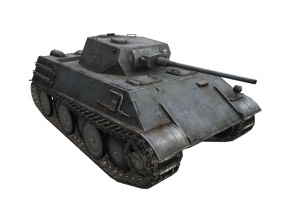 The only distinguishing feature was the cupola which was based off the Panther's cupola. 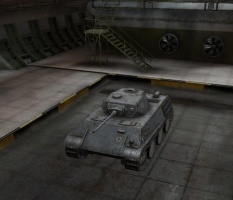 In July of 1943 it was thought that the VK 28.01 Mehrzweckpanzer would not see production until April of 1945. 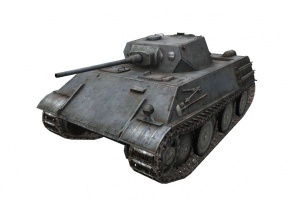 In October of 1943 the Germans cancelled the VK 28.01 project. 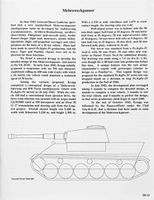 Page 11 from Panzer Tracks 20-1, including history and sketch of VK 28.01. The sketch is drawn by H. Doyle.